Mochigome is the second most common variety of Japanese rice, and has an even stickier texture than regular Japanese rice. Itfs easily differentiated from the other rice variants with its short, round and opaque grains. While people often assume glutinous rice is named as such because it contains gluten, theyfre mistaken. 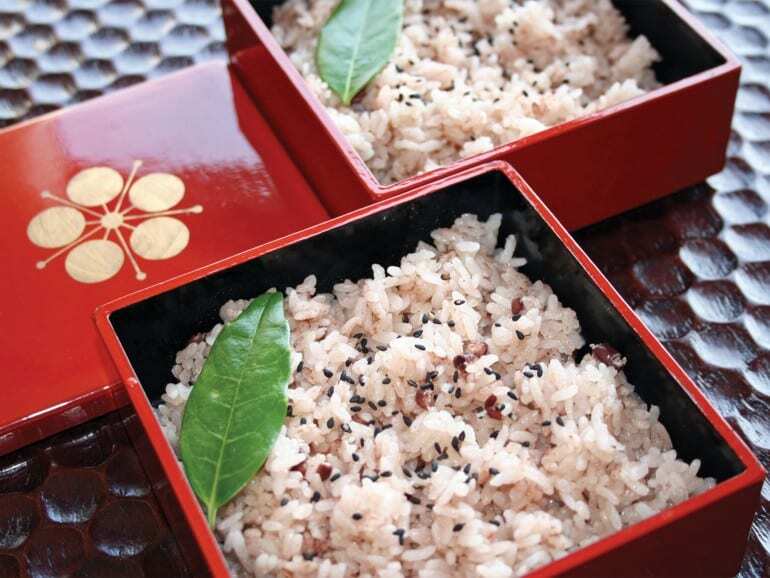 Glutinous rice is so named because it has a sticky, glue-like texture when cooked. Mochigome is usually steamed instead of boiled, and when pounded, it creates a sticky, gluey paste thatfs used to make Mochi (rice cakes). While Mochi is usually prepared for the Japanese New Year, most people also enjoy it all year round. You can also cook Mochigome to create a slew of other dishes, for example, Sekihan, a traditional Japanese dish where the sticky rice is steamed with Azuki (red beans), lending it a reddish hue. Sekihan is usually served on special occasions like birthdays or weddings, because the colour red is a symbol of happiness in Japan. Mochigome is also used to make traditional Japanese sweets like Botamochi, which is prepared with sweet rice and sweet Azuki paste. After soaking the sweet rice for about six hours, the rice is then cooked, and a dense layer of paste is packed into the pre-formed balls of rice. A popular Japanese snack, Senbei (rice crackers), is also made with Mochigome. Senbei are either baked or grilled, and while being prepared, they may be brushed with some flavoured sauce, often a combination of soy sauce and Mirin. However, modern interpretations of this traditional snack feature flavours like kimchi, Wasabi, and even chocolate.